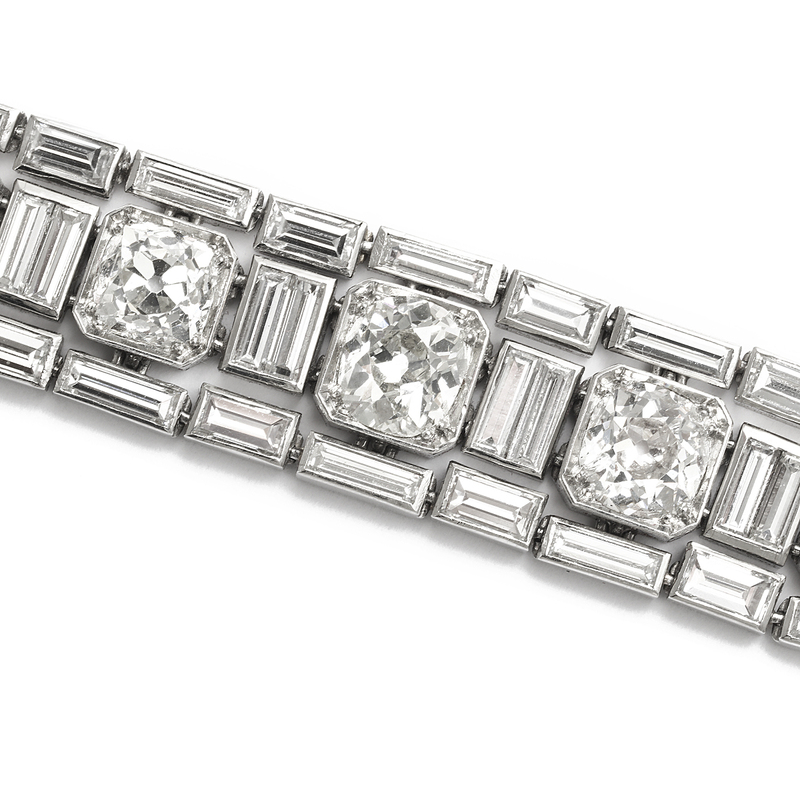 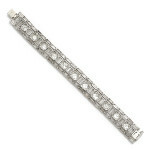 Cushion and baguette-cut diamond bracelet, set in platinum. 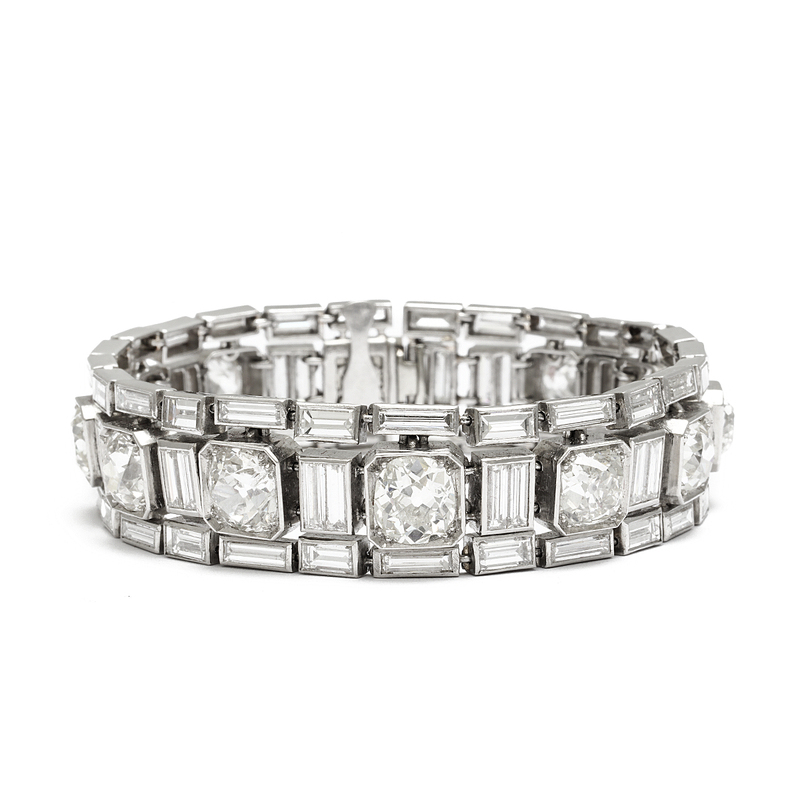 The cushion diamonds approx. 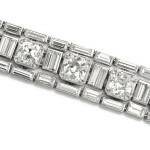 18 cts; baguette diamonds approx. 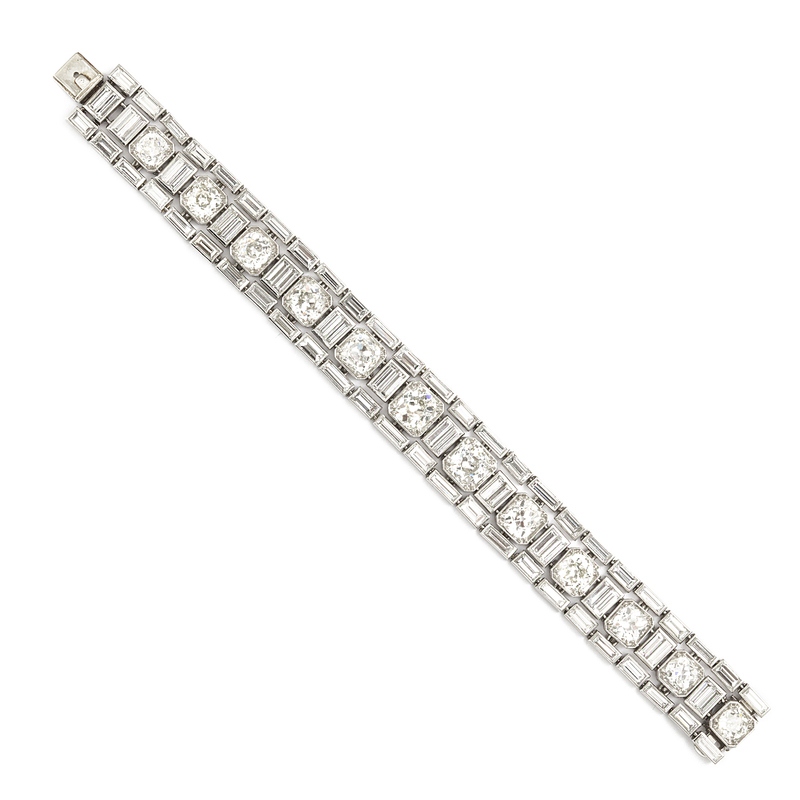 20 cts.